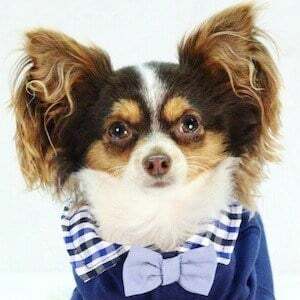 Chihuahua that rocketed to fame as the dog of singer-songwriter and YouTuber Carson Lueders. He was introduced to Lueders fans in a September 2017 Instagram post captioned "Hi i'm @louielueders a 3 month #longhairchihuahua Watch me grow up, play and have fun adventures with my family!" In September 2017, his owner opened an Instagram account in his name, louielueders, which has more than 200,000 followers. He is also the dog of Jackson and Olivia Lueders. In September 2017, he appeared in an Instagram photo with Dylan Conrique, Madison Lewis, Brooke Butler, and Annie and Hayley Noelle LeBlanc.